On February 9, Social: IRL will host a special interactive workshop in Kansas City, “Rethinking Business in the Age of the Social Consumer.” We’ll be joined by a strong group of both local and national businesses and agencies, including AMC Theatres, Nebraska Furniture Mart, emfluence, Federal Reserve Bank of Kansas City, Intouch Solutions, Boulevard Brewing Company, UMB Financial, Sprint, Howerton White, Ameristar Casinos, Bass Pro, Edelman, and H&R Block. The foundation of the event is a half-day session lead by “Conversation Agent” Valeria Maltoni, who brings a wealth of experience overseeing engagement and executing growth strategies at global Fortune 500 corporations, mid-sized businesses, and small start up companies in five industries. The event also feature sessions looking at the intersection of social technology and social strategy, including some of the latest developments in social CRM, monitoring, and influencer marketing. Also a valuable session taking a pro-active look at how to protect your online content and community, with Jeff Schultz, a leading social media lawyer with Armstrong Teasdale joining us to discuss potential legal issues both brands and agencies are facing on an increasing basis. With these type of legal issues becoming more prevalent, the need for a pro-active approach is critical so we’re especially grateful to Jeff Schultz for joining us in Kansas City, and are taking the opportunity to highlight the valuable content he will be sharing with attendees. Join us in Kansas City on February 9 to hear from Jeff, Valeria Maltoni and our other speakers, and for a valuable day of learning and networking. For a limited time attendees can register using discount code IRLNEWS and receive a specially discounted registration rate of just $95. Businesses and individuals alike are utilizing social media to develop their “brand” and connect with others. Today, almost everyone has a book, blog, podcast or video format which spews content (and also generates content from third parties). And every day, it seems, new online tools, platforms and advances introduce new opportunities to build your virtual footprint. But while they say that possession is 9/10 of the law, that may not be correct in the social media world. The answer to who “owns” content and community is not clear cut and the law in this area is not well developed. Users often overlook the legal ramifications that could arise. Armstrong Teasdale social media attorneys will discuss the legal aspects of content and contacts, including non-compete and fiduciary duties. Tying the presentation to the most active social media platforms, they will show you how to make sure you know who owns your work and community, and how to avoid potential legal problems. 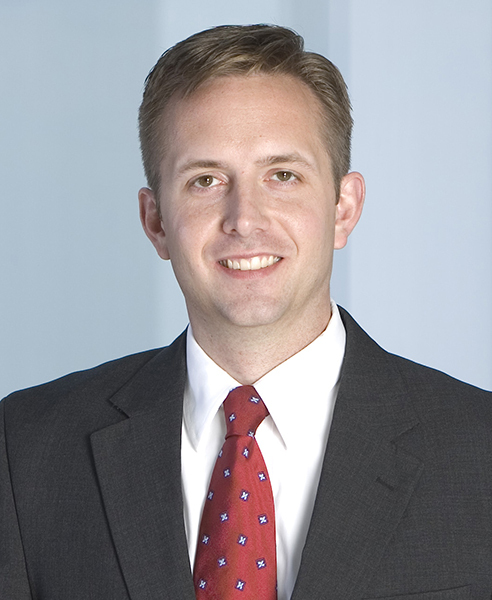 Jeff Schultz is a business and commercial litigator and chair of Armstrong Teasdale’s Social Media Practice Group. Much of his practice focuses on counseling individuals and organizations through complex disputes involving the misappropriation of trade secrets, computer tampering, non-disclosure agreements, non-compete agreements, commercial contracts and social networking law. Mindful that one of the primary assets of any business is the proprietary information that makes it unique, Jeff helps clients develop and implement programs to safeguard against employee theft and defection and to minimize risks that arise when hiring employees from competitors. With the explosion of social media, social networking and online sharing, such as the use of blogs, Facebook, LinkedIn, Twitter, YouTube and texting, Jeff advises companies regarding efforts to protect their brand online. Although social networking can be beneficial to maintain personal and business relationships when used properly, it can quickly become a legal minefield for those who are unprepared.